27 January 2015, at 10:35a.m. CANADA - Last week we attended the Banff Pork Seminar held in Banff Alberta for the last 44 years. We have been to many countries and there are many versions of pork shows, no doubt for us Banff is the most spectacular site of all we have been. 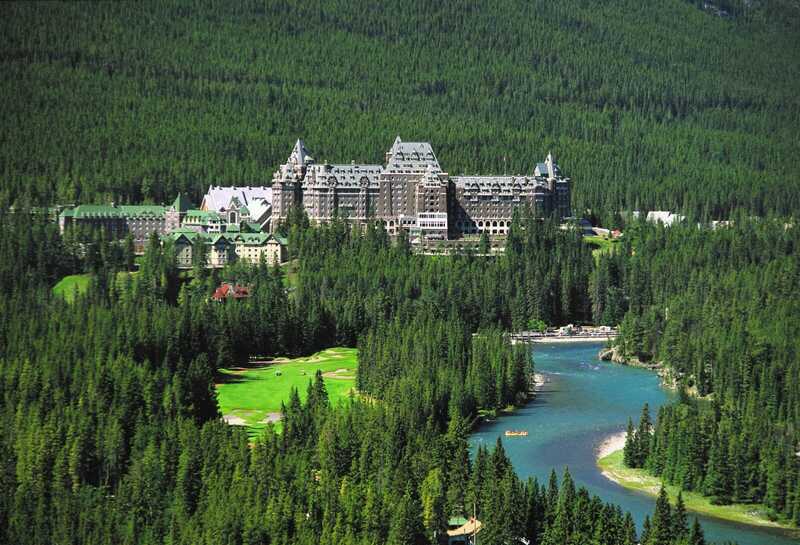 Nestled in the Canadian Rocky Mountains and Canada National Park, nothing touches this location, writes Jim Long President – CEO Genesus Inc.
Next year the Banff Pork Seminar will be at the Banff Spring Hotel. Pictured below. Genesus on the Tuesday night this past week hosted a reception for all attendees at the St. James Pub in Banff. Not sure how many attended but the St. James estimated 300 people came and went during our event. It was wall to wall people and a great time with hours of pig industry discussions. About 700 people were registered for the 2 day event. Genesus Vice President of Genetics, Dr. Bob Kemp was Chairman of the Banff Pork Seminar organizing committee. All was well organized. A diverse group of speakers from around the world. Many Canadian producers and participants chatted about the rapid decline of the Canadian Dollar compared to the US dollar. 18% decline in the last 6 months with 8% decline in the last two weeks. Canadian Pork Producers are benefiting greatly with this development with Canadian pork prices driven by US hog prices, the lower Canadian dollar relative to the US. Canadian producers are unanimous in liking this development. Much chatter on PEDv. How much will happen this winter? Seems at this point some happening but to a much lesser extent than last year. Sow herd expansion. Next to nothing in Canada. Banks aren’t keen and neither has it appeared are producers. The survivors which are the Canadian Pork Industry are waiting for the other shoe to drop, which is the hog cycle. There were attendees from the US and Mexico. We had several discussions with groups from both countries actively or wanting to expand sows. We believe a 200,000 sow North American increase is not out of the question if planning turns into reality. US prices in the 70’s lean could be taking the edge off euthanasia as we believe at the price many producers are around break even. This in the context of US – Canada average production of market hogs per breeding animal is 18 per year. At a Group Panel there was discussion about China’s liquidation of 6 million sows over the last year and how could that affect pork exports. China 6 million sows at 13 hogs per sow would be a decrease of 80 million market hogs per year or about 1.5 million a week. If North America could export an equivalency of 100,000 carcasses a week or about 7% of China’s decline, that 5 million hogs annualized of pork leaving North America would cut domestic supply to 2014 levels or below caused by PEDv? Kevin Grier in his talk quoted recent data (2013–2014) that indicates raising hogs in Ontario Canada is more profitable than Iowa (USA). About $10 per head advantage due to lower Canadian feed costs. (Not as much corn ethanol)? With the further decline in the Canadian dollar, the Ontario advantage will probably widen in our opinion. Nice conference. Generally most people upbeat but cautious of the future. The record profits of 2014 could be seen in the general happiness.